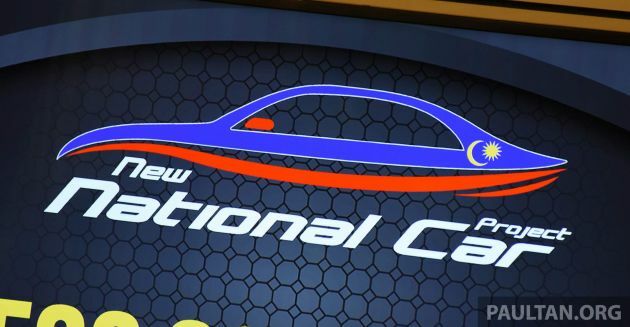 Two automakers have been shortlisted to lead the new national car project (NNCP), according to entrepreneur development minister Datuk Seri Mohd Redzuan Yusof. He said the government was still in talks with the parties involved, and will announce details once the final decision is made, Bernama reports. “We are at the end stage of discussions, we cannot reveal more details as yet,” he said last week, adding that there were several aspects that were still being studied before everything is finalised. 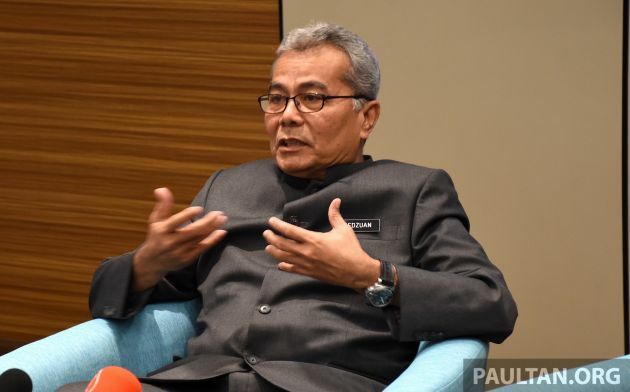 Mohd Redzuan however hinted that the “Look East Policy” has featured in the selection of the shortlisted companies. The mention of the policy, which was prime minister Tun Dr Mahathir Mohamad’s initiative in the 1980s during his first term as prime minister, suggests that it is likely that a Japanese car manufacturer will spearhead the NNCP. Last month, Mohd Redzuan said the government was set to focus on ‘Extended Range Vehicles’ for the NNCP as it was deemed more affordable. Although there was no elaboration, speculation has it that it meant range extender EVs, as opposed to full battery electric vehicles. Back in August 2018, before the official NNCP announcement, Mahathir had said that Malaysia would seek assistance from Japanese automakers for the project, name-dropping Nissan and Toyota then. If ‘Extended Range Vehicles’ does indeed refer to range extender EVs, Nissan currently has such technology in the form of its e-Power system as seen on the Note e-power, which has been on sale in Japan since late 2016 and was displayed at KLIMS 2018. Early this year, there was word that the identity of the company leading the NNCP would be announced on January 28, but no details emerged then. We don’t need third national car. You can delay for another ten years. Just don’t launch it. NO RAKYAT MALAYSIA want this 3rd national crap. Just concentrate on Proton and Perodua and it’ll be good enough. I wont say NO to tech transfer and local economy boost. MY have so many automotive vendor from low std that previously serving P1 to high end that only serves high end car such as Merc and BMW. Oh yes we have local company that has been supplying parts / material to BMW and Merc but not local company. With another ‘high tech’ local player, it may boost local economy. Bro don’t steal my name. Anyway, Proton should be a lesson for us rakyat malaysia. after 30 years of experience in automotive engineering also, we still had to beg for bantuan and hire a foreign CEO. To many in Malaysia, Proton to them is like kahwin. If one marriage does not work, nevermind, can marry more. Malaysians never learn from the failure of Proton. The past 30 years, we are just a rebadger. Now, all we do is tampal logo. That is all. Oh yeah. Mitsubishi were trying to transfer the whip and chain locks technology plus the slave labouring knowhow but you see, Proton workers are too ethical and respectful of fellow human beings to comprehend what these Japs were trying to teach. Once Proton management board found out, they kicked them Japs all the way back to Nippon and disallowed them to come back for 10 years. Eventually they returned back via Tan Chong Motors, another bloodsucker of their employees. I’m glad Proton didn’t follow their culture of slavery. dont like nncp crap too. call me lalang, katak, hipokrit or any name, but i gips full 100% sapot and vote to nncp… ist 3rd national car Suzuki Swift Sport 1.4Turbo Boosterjet engine, 138 hp and 230 Nm. Njoi ron95 jimat Rm2.08, pastu hadap Subsidi minyak untuk kereta bawah 1.5L … RM1.50/L petrol mana? Rakyat voted for regime change,not PROTIGA,Tun. Let us buy only P1 and P2,and see how long this PROJECT MEMBAZIR WANG can survive. Make no mistake ,GEELY is going to flood the ASIAN market with their right hand drive versions in 2 to 3 years. They r not stupid bodoh to pump Rm1.2 billion and get peanuts. So there is NEVER ROOM for protiga.When Protiga is launched,other cars will be heavily taxed to force buyers to buy protiga,like when P1 is launched 3 decades ago. PROTIGA IS INSANITY…A MEGA ,UNWANTED PROJECT. Tell me that its going to be a flying car right???….. Something is very wrong. When I was a kid, I learnt that a car never flies. A flying machine is never a car. How do we came up with flying car?? Heck, it’s not that easy to even find a flying toy car in the market now!! Nowadays technology has changed. Cars edy can fly, just look at those Vioses and Myvi with GT wing flying everywhere on the highway, often times flying into parit, longkang and gaung or fly into other cars. They should have include flying car and 3rd national car projects in their election manifesto and see how it end up. Carmakers? I bet its some Dato or Tan Sri with Zero automotive experience and just buy using the advanced Know Who ways they will get this project. even if they do, this is a car making project and how they going to get Billions of RM needed to set up factory or develop cars? another useless Chinese car re-badge? I hope not. and I hope to God no Lawyers or Accountants are involved to be “CAR MAKERS”. we dont need the NNCP. we need vehicle development and R&D facilities to work with universities and existing car makers. Come on, choose them again! People oppose the 3rd national car project understandable, but I do not totally disagree, preferred Proton to extend into EV and hybrid cars with ‘look East’support since there more options now than in the 80’s. People oppose the 3rd national car project understandable, but I do not totally disagree, preferred Proton to extend into EV and hybrid cars with ‘look East’support since more options now than in the 80’s. It is okay to have 3rd national car project only if it were FULL EV car project. I understand those who urge government not to accept 3rd NNCP but if the project is running on full electric it will benefit to us as first EV makers in South East Asia. You like it or not EV car is future trend no one can stop this trend. We are not yet ready as facility or infrastructure not comparable to other advance countries? EV only need a power charging station and the scale can be as small as a “street ticket” machine size. While refill petrol we need a proper petrol station which can store huge volume of petrol and diesel whereas EV charging station it doesn’t need storage space as it can direct connect to mainstream hub of TNB in each area. Means as long as electric cable can reach anywhere also can install charging station include ulu place and it only need 1 car park size. For maintenance wise, pls bear in mind EV car has far less component in electric engine than an internal combustion engine. And it basically no need service interval of 5k km, 10k km, 60k km because there was no engine lubricant and transmission lubricant needed as these components are using grease which volume is freak low and long lasting. I support 3rd NNCP but only if it were EV or at least hybrid. Otherwise pls stop the project as we have proton and perodua producing internal combustion running engine. No point to have 3rd one. Its never OK form Malaysian. Don’t ignore us & rakyat will tell this PH gomen @ coming PRU with a clear signal!!!! Rumors is that they are Korean. It is also one of the reason why the president of south korea visited us recently. How ironic when both national automotive industries grew in the 80s. Then which Korean car manufacturer has flying cars ready to give us? The Mini-Star tersalah cakap, he meant Flying Car-pet. I see. It’s too bad our Cabinet are filled with jokers that fantasize on flying carpets, all-seeing telescopes and magical harmonicas. Wow Korean car manufacturer ?!! Kimchi Plastic Surgery Manufacturing. They will remodel an aircraft to look like a car. Presto! Here is your flying car from Korea. I mission is my rakyat mission.. Many in Paultan comments are like a kid after ‘lepasan SPM’, a lot of -ve perception because no experience in life. But talked like a ‘professor serba tahu’. I’m not from automotive industries (also not salesman); if you open your mind…R&D is require a lot of money for investment But it cannot promise successful in short of time. Also similar to open new business, sometime success and/or fail. But without R&D…our country cannot become a developed / industrialized country i.e Japan, Korea and etc. My 10sen opinion. before the NNCP project start to kick off, there will be another government change again. waste of time and money. Go ahead with ur so call 3th NC or 4th NC project. Time will come and RAKYAT will stop it nxt election. All the best with ur unnecessary project. Its already a comfirmed fact…its A Hyundai. As Singaporeans always say. I need a cheaper electric car. I will buy if there is make the price and operation cost is better than current. It is an aircraft. The flying car just a name. We call flying car because of no need for an airport. For those who said this is unnecessary project, did you guys know this project will create jobs to citizens, since it is private project invested from foreign automakers there will have no cronyism unlike Proton in old days, more opportunity to people who supply components to new NNCP, more showrooms etc to boost economic. For those who comment this is idiotic and time wasting project, can you guys list out any mega project can create such a high foreign investment, high labour force and productivity to boost economy? Dont always say improve public transport bla bla bla. When you choose to drive to work it is hard for you to take public transport anymore. Many of you just blame without knowing the truth and you guys thought yourself is smarter than new government politician who have higher education. They are not stupid or idiot, there must be a valid reason to do so. Fake degrees and dubious qualifications doesn’t equate to higher education, unless the education is about conning the common folks. Tell me exactly who’s spearheading the project? Some Ali Muthu Ah Hock from the streets? Which local company is brave enough to pump billions for something so risky? Some Sdn Bhd from Klang? Come on, don’t be naive. We all know that it’s going to be some Tan Sri or Datuk Sri close to Tun M. And actually own these parts vendor and suppliers? This is just another mega project to satisfy Tun M’s cronies, in exchange for election funding. So in the end, rebadge a Japanese marquee. 35 years building cars through proton and Perodua and we doing the same thing again. Long time ago when they were constructing the twin-towers, it was pointed out that it was not the construction only, but also the technology behind it e.g lifts and materials. No one is gong to give their expertise for free unless challenging, finance by those with deep-pockets hence the tallest skyscraper, financed by Petronas and also to attract the best. See the similarities. if car can fly in Mesia, just put the smart-alec minister in it…..for him ride to work everyday for 365 days. See he’ll say. So current hybrid incentives cancelled with introduction of this new national car? How many car company you want to have? Already got Proton. Still want 1 more. To waste more money. Lucky Geely bought Proton, if not Proton forever lose money. For a fairly small country, I cannot understand why Malaysia has even TWO “national car companies.” (Both of which have relied heavily on foreign carmakers for major components’ engineering and/or design — and of course at times simply rebadging other cars, which is really just embarrassing.) This dogged pursuit of a third now just makes no sense. And too many of these massive, complex ideas just don’t work well here, it seems. Proton failed. Malaysia Airlines continues to fail. Don’t get me started on 1MDB. I think there are some systemic problems (namely corruption and cronyism) that tend to doom things here. It would be better, in my opinion, if Tun M and PH worked harder to address the serious problems with corruption here rather than chasing this third national car rubbish that very few seem to want — and certainly not the reason the rakyat put PH in power.